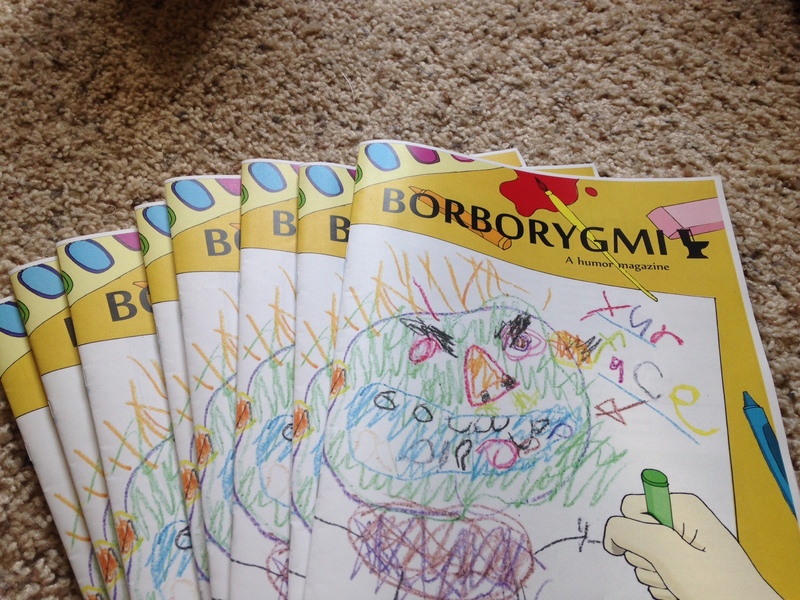 In Fall 2014, my sister and I decided to create our very own humor magazine, and Borborygmi is the result! Written, illustrated, designed, and funded entirely by us, this quarterly magazine is a losing venture that provides us an outlet for all our bad puns and poop jokes. The word “borborygmi” is a fancy way of saying “tummy rumbles,” and we picked it because we thought it sounded funny. Which kind of gives you a sense of what this magazine is like. If you still want to read it, do so at issuu.com/borborygmi! Or, if scrolling through Issuu’s terrible interface isn’t really your thing, read the Winter 2014 issue here.